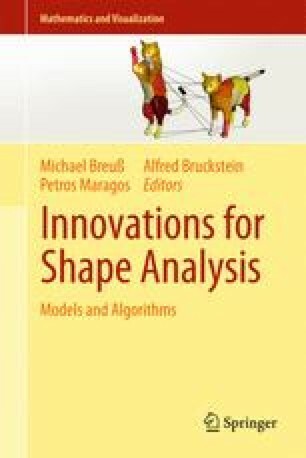 In this study, we present from a remote sensing perspective a method for the combination of surface gradient information obtained by photoclinometry and shape from shading with absolute depth data (here: light detection and ranging (LIDAR) data) by exploiting their respective advantages, regarding distinctly non-Lambertian surfaces with non-uniform albedos. While photometry-based 3D reconstruction methods yield reliable small-scale surface gradient information for each image pixel, absolute depth data which are typically noisy on small scales but reliable on large scales are provided by LIDAR techniques. The first step of the proposed algorithm consists of an extended photoclinometry approach which takes into account both image and LIDAR data. In a second step the reconstructed surface is refined based on an iterative scheme relying on the minimisation of a global error functional, thus compensating the inaccuracies of the measured surface gradients and the LIDAR data on the respective scales. The surface shape and non-uniform albedo map represent the best fit to the observed image radiances and LIDAR data. We apply our framework to the construction of digital elevation models (DEM) of lunar surface regions. We use hyperspectral imagery in order to employ the DEM to normalise the wavelength-dependent surface reflectance to a standard illumination and viewing geometry. Although we employ a highly realistic, physically motivated reflectance model (the Hapke model), systematic topography-dependent distortions of the pixel spectra occur, which lead to errors in the extracted spectral parameters (e.g. the absorption wavelength, depth, and width of prominent absorption troughs) and for which we propose an empirical, PCA-based correction approach. Based on the correspondingly corrected surface reflectances we obtain a refined DEM along with spectral parameter maps in which (except for the hydroxyl absorption) topographic effects are nearly completely removed.